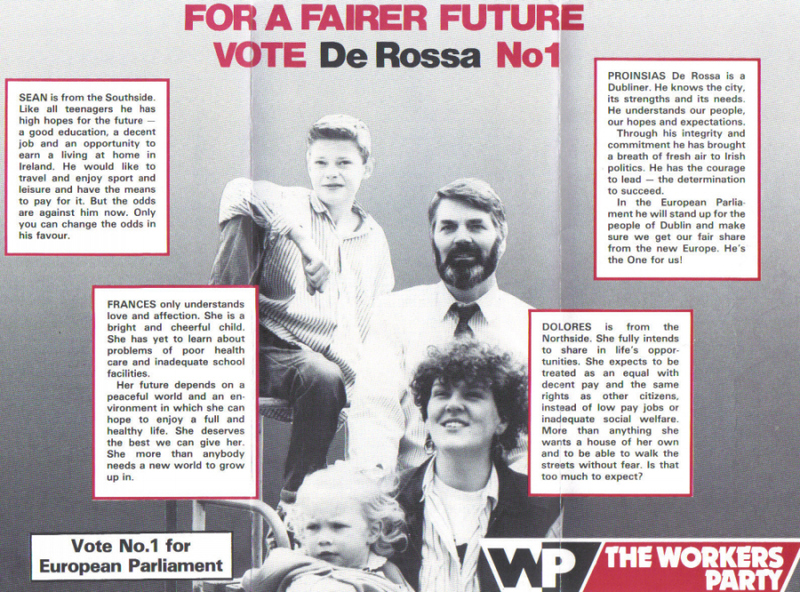 The 1989 Euro elections, a breakthrough as Proinsias DeRossa wins the seat. The style and content of this leaflet was refered to in ‘The Lost Revolution’. The centrepiece where he has the three people was novel at the time. 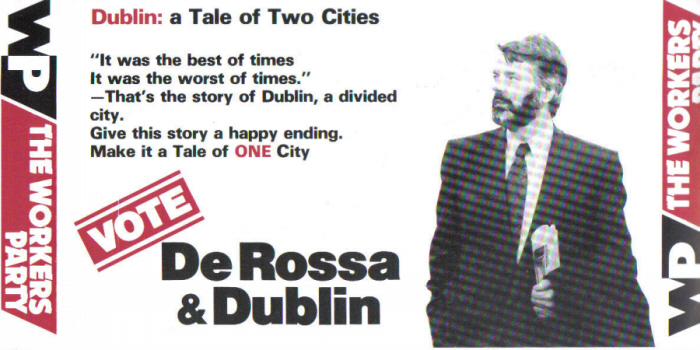 “Sean is from the Southside ..Dolores is from the Northside..” I wonder where they are now? Also the leaflet is addressed to my family rather than to each of the then 5 voters in the house. Similar for the Workers Party General election Candidate, probably illustrates how tight funds were at the time.